I needed to get the oxygen cylinder filled which meant a dive at Bare Island. 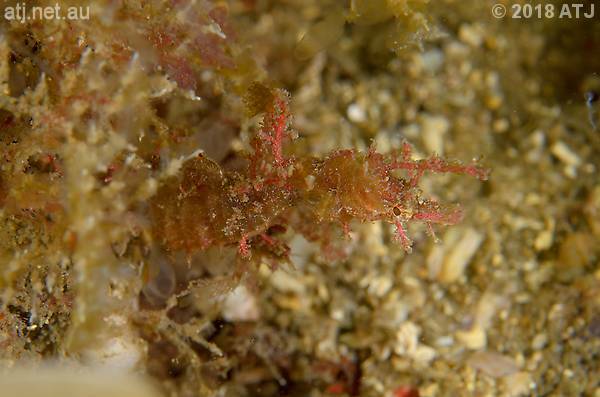 I don't mind diving at Bare Island it is just there is so little to find when compared to Kurnell. I got in at the area just east of the "swimming pool" and swam out on the surface. I descended to the sand. Visibility was only between 3 and 5 metres but there was very little surge. The water temperature was around 16°C. I swam along the sand to the outboard motor, up over the shelf, and along over the sand by the boulders to the top of the slope. I hadn't gone far down the slope when I spotted a red indianfish. I continued down the slope and looked for pygmy pipehorses in all the usual spots. I didn't see any on the rocks above Pygmy Rock or on Pygmy Rock itself. A little farther down the slope I spotted a female pygmy pipehorse (IL2018100201) on a rock I've seen them on the past. I looked around for her partner and found him (IL2018100202) not far away. On the next rock but one down the slope I found a male pygmy pipehorse (IL2018100203). I looked around for his partner but I was not able to find her. I had a good look on Juvy Rock and was pleased to find a female pygmy pipehorse (IL2018100204). I wasn't able to find her partner. I continued on to the rock where the white male and golden female pygmy pipehorses used to be. The white honeycomb sponge was gone as I couldn't see those pygmy pipehorses there. I looked on the back side of the rock and found a male pygmy pipehorse (IL2018100205). I looked for a female nearby but could not find one. I swam around the corner past the caves and along the reef towards Isolated Reefs. I didn't go very far before turning and coming back the way I'd gone. I visited each of the pygmy pipehorses on my way back and again looking for partners of the single ones I'd found. I was at least able to refind all the ones I'd found on the way down the slope. I swam up the slope and found the red indianfish in the same spot I'd seen it on the way down. At the top of the slope I swam over the sand in front of the boulders. As I approached the outboard motor I ascended to 5 metres and started my safety stop while swimming to the exit. I finished my safety stop and got out near Carol's plaque. 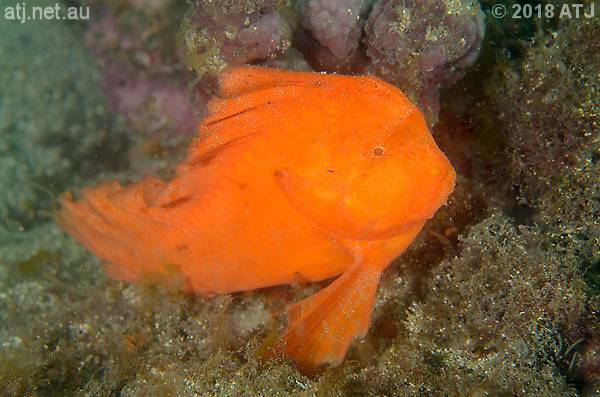 Red indianfish, Pataecus fronto. 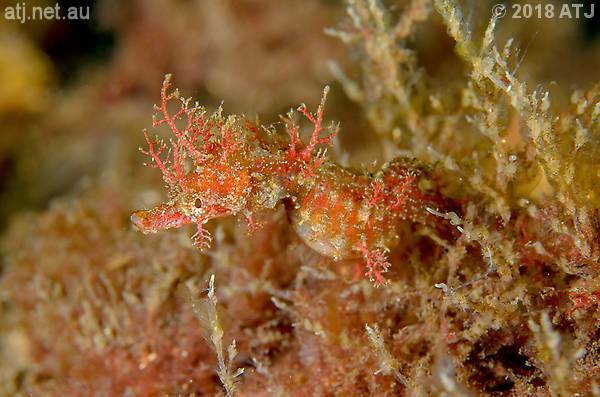 8.7 m.
Female Sydney pygmy pipehorse, Idiotropiscis lumnitzeri, (IL2018100201). 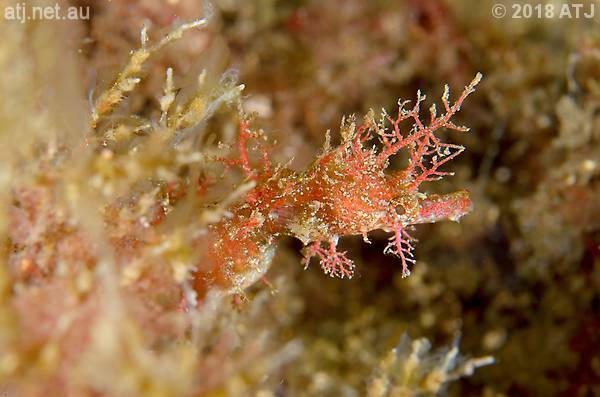 11.5 m.
Male Sydney pygmy pipehorse, Idiotropiscis lumnitzeri, (IL2018100202). 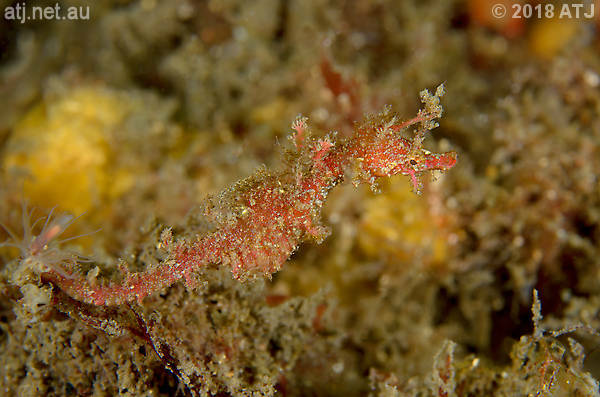 11.3 m.
Male Sydney pygmy pipehorse, Idiotropiscis lumnitzeri, (IL2018100203). 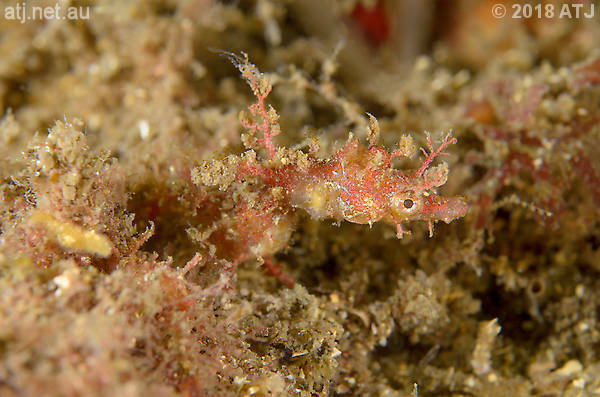 12.4 m.
Female Sydney pygmy pipehorse, Idiotropiscis lumnitzeri, (IL2018100204). 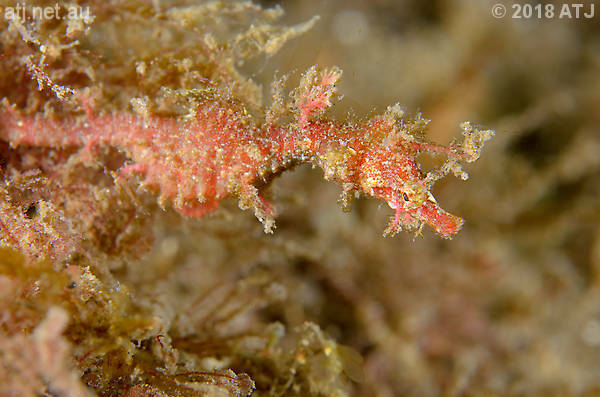 12.6 m.
Male Sydney pygmy pipehorse, Idiotropiscis lumnitzeri, (IL2018100205). 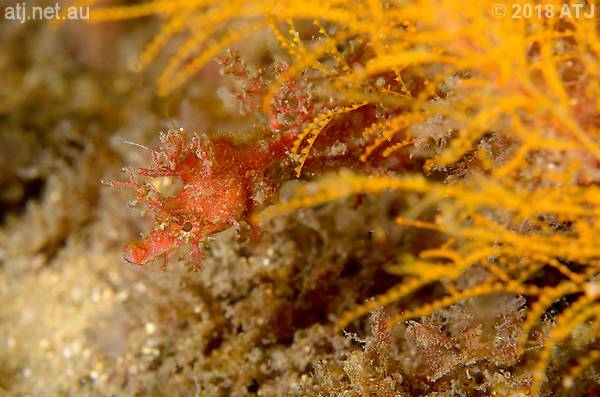 13.2 m.
Female Sydney pygmy pipehorse, Idiotropiscis lumnitzeri, (IL2018100204). 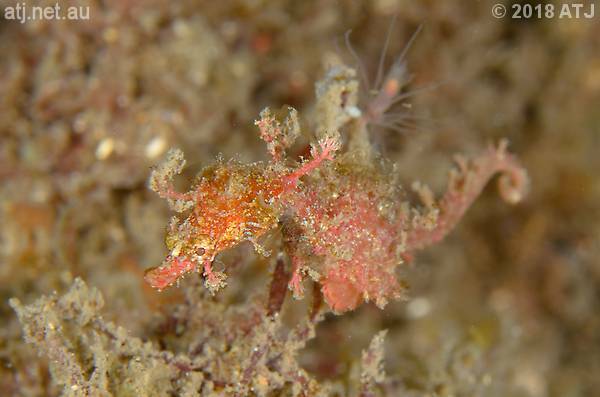 12.7 m.
Male Sydney pygmy pipehorse, Idiotropiscis lumnitzeri, (IL2018100203). 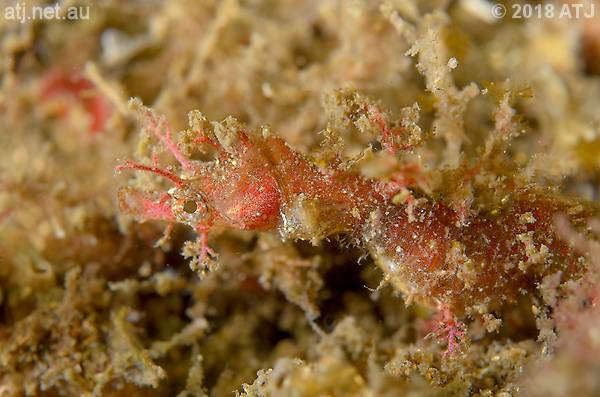 12.6 m.
Female Sydney pygmy pipehorse, Idiotropiscis lumnitzeri, (IL2018100201). 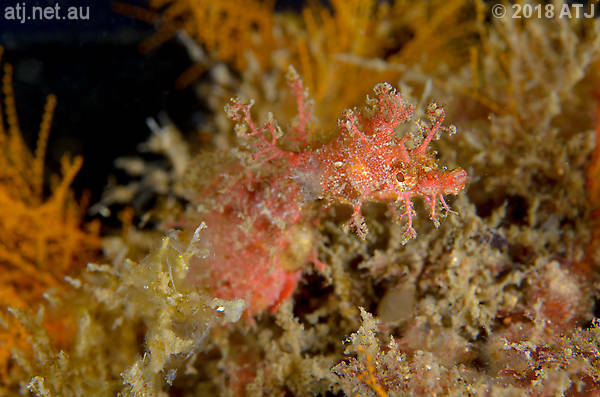 11.6 m.
Male Sydney pygmy pipehorse, Idiotropiscis lumnitzeri, (IL2018100202). 11.6 m.